Recently I saw the movie 11th Hour, and it brought out a fear thats been in my sub-consciousness for quite some time. A feeling thats been working inside me for years and years while I live my western lifestyle. I dont think we are going the right direction, I think we need to think differently if human beings as a species is going to survive on this planet. I am no saint, I am just a normal human being born in western europe, living the western lifestyle. I am trained as a good consumer of goods, of things I need, but moreso of things I dont need. Or what do I really need? I am not sure, but I feel we are taught to consume, we are taught whats cool to wear, what car is nice, what a house is supposed to contain, what our family lives are supposed to be like. As human beings we cannot learn these things by experimentation, we need guidance, and for that we have a society and a social structure. Laws regulate what we can do and cannot do, a political system tries to voice our opnions on this, although in the big picture they only become small insignificant actions. We are dependent on good leaders, of people making the right choices. Well, our society is first and foremost run by one religion, money! Yes from the early stages of our lives we learn that our options in life is based on the amount of money we make. And that to be successful you need rather lot of it. We learn to be consumers. We learn that this car is better for you, this food is what you should eat, these clothes is what you need to get noticed. We strive to satisfy our egos so that we feel secure and in place. This is absolutely natural. Human beings have always been brilliant at adaption, we are like advanced flocks of sheep because there is comfort and gratification in going with the flow. Any change we oppose at first simply because it challenges our identity with the surroundings. We learn to choose what other people choose. After some years you might start to think like me now, that there is something wrong in this picture, simply because we only got one planet to live this life on. If you then start to look at statistics, the evidence is overwhelming that our consumerism is about to kill the planet. Anyone telling you otherwise is just defending their pleasant lives. Many people dont really change until there is a crisis - until their house is ripped from the ground or it someone close to them dies (even then many get this feeling of "this wont happen to me"). I think I'll end this entry for now. The title of the blog is naturally based on the "Home Improvement" television show styles, as I hope to be able to make this a general blog about how to make the globe a better place to live. 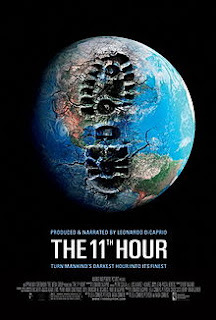 Btw, if you are interested in the subject, I suggest you go see 11th Hour and get a feel for where we stand now.